Some of you may already know but if you didn't, I have a little YouTube channel over HERE. 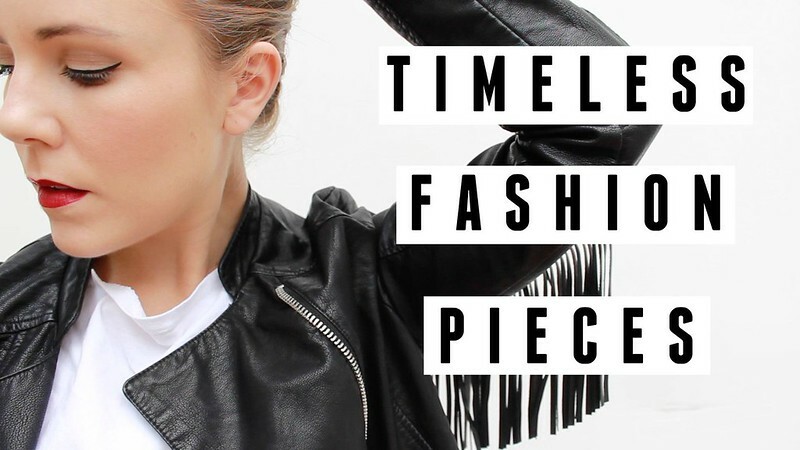 I've just uploaded a fashion related video featuring some classic fashion pieces which I personally think have stood the test of time. Why don't you head on over and give the video a little watch? It's only a minute and a half long so it won't take up too much of your time. You could even watch it now.. Just before you settle down on your comfy sofa. Go on! You know you want to! If you have a YouTube channel yourself I would love you FOREVER if you could give the video a thumbs up and subscribe to my channel. Don't forget to comment too letting me know you're a blog fan. I always like a chat. I hope you're enjoying your day and I'll see you again really soon!